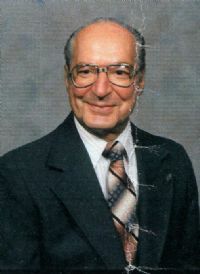 John was born Aug. 14, 1927 to Italian emigrants Gioacchino and Cosima Starvaggi, in Portland. He was the youngest boy of a close-knit family of five boys, Anthony;, Agost, Jack, Joe and john. He graduated from Benson High School and continued his college education a few years later "Red" hired him at his restaurant, The Star-Quil Italian Restaurant as a cook, thus beginning his commercial food service career. In 1959, he bought his first restaurant, The Copperstone, Hillsboro. He went on to own three in Portland: The Pepper Mill (now known as the Limelight), The Candlelight and The Old Town CafÃ©, and two in Lake Oswego: Oswego Lodge and Giovanni's DCXXL. After spending a few years in the real estate field, he returned to what he was most successful at and bought Buddies Sports Bar & Grill in Aloha and also bought the property of Sunshine Pizza in Forest Grove, remodeled it and renamed it Prime Time Restaurant & Sports Bar. John embodied all the characteristics associate with mortality dedication and service. His steadfast goal was to provide for his family and his work ethic was well known. He was a member of St. Agatha Catholic Church in Southeast Portland for over 50 years, joining the Knights of Columbus, Council #7388 as a charter member and serving as grand knight for two years. He as in charge of the annual spaghetti dinner for 10 years and volunteered for many other duties. He was especially interested in helping young men get their careers started, three of whom he initiated as partners in his restaurant businesses and went on to being owners themselves. He was also a member of Most Rev. William H. Gross Fourth Degree #2411 and was a life member of Gateway Elks Loge #2411. He and his wife, Diane, enjoyed traveling, especially to heir dessert home they owned for many year in Palm Desert, Calif. After retirement he spent energy in volunteer work with The Toy & Joy Makers and St. Vincent de Paul also while managing his commercial properties. John was preceded in death by his parents and all four of his brothers. He is survived by his wife of 51 years, Diane; daughter, Dixie Thompson (Chuck) of Boring; son Jack Starvaggi of Portland; grandchildren Charles Thompson Jr (Shani) and Micky Thompson (Sabrina); and great-grandchildren, Colton, Leithan, Reagan and Tauran.